Looking for the best violin to buy? Whatever your needs or budget, here is a professionally reviewed and recommended list of highly ranked violins. Join the thousands of our happy violin shoppers! Read below and discover why this has become our most popular page. Looking for the best violin to buy? 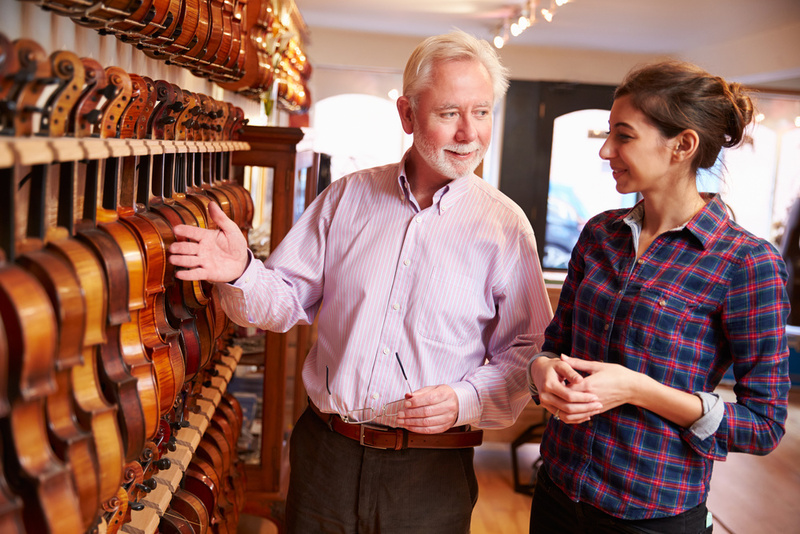 Whether you're just starting out or looking to upgrade, you can find the violin that best fits your need and compliments your wallet right here. Since price is a major issue for most people, we have included several affordable options. Organized by price, this simple to read guide will go through the basics of each recommended violin, plus the pro's and con's of these top violin brands. Keep in mind that the best violin to buy is not the same for every person. Follow these violin reviews to find a sound, price, and look that is right for you! 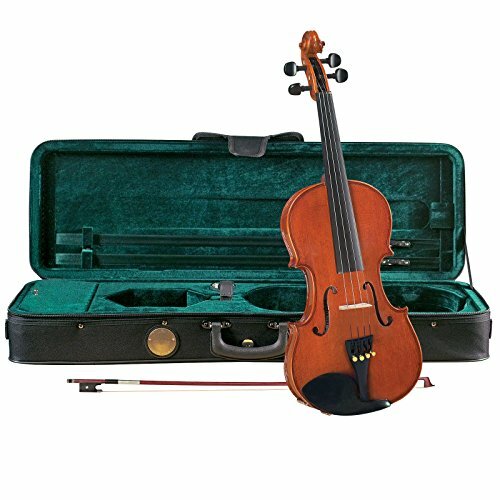 The Stentor violin is a great beginning violin and is recommended by many violin teachers as well as violin shops. When looking for a student-grade violin, this could be the best violin to buy. The Stentor is a reliable, and well built instrument made to withstand the rough handling of a beginner student. It also has a warm playable sound, which is very important to a beginner student. The main complaint of the Stentor is the uneven thickness of varnish. This violin comes as an outfit including violin case, bow and strings. However for optimal sound, we recommend replacing the strings with Dominant Brand violin strings. The Knilling brand is one that is well known among violin teachers and beginning students. In fact, it is one of the largest suppliers of student-grade stringed instruments in the world. Many rental shops use the exact student model featured here. If you're a beginner student keep in mind that in the long run, buying the violin is a lot more affordable than renting, and that the best violin to buy might just be the one you are already renting. Cremona is the highest owned violin of the-violin.com readers! There are many options available within the Cremona brand. Much like the Stentor, Cremona violins make the 'best violin to buy' list due to playability. This is important because a violin that is difficult to play will deter beginning students from practicing. 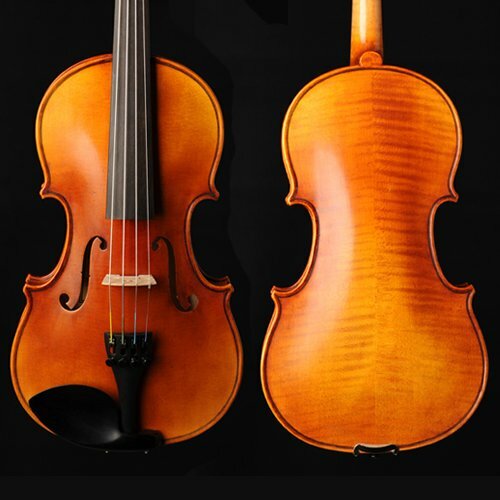 Cremona also receives high ratings for their looks, and with a nicer chin rest and tailpiece fitting could potentially be a very professional looking violin. Although professional in a lot of ways, remember that it is still a student grade violin. Cremona makes several models in different price ranges. Here are the violin's that get the best customer reviews. As price goes up with violins so does the quality. Nicer woods, more experienced craftsmen, and higher quality fittings are used on more expensive violins. I really like Scott Cao Brand. For intermediate violinist who are ready to upgrade violins, beginner violinist with a larger budget, and even advanced violinist looking for that perfect violin, the Scott Cao comes highly recommended. Cao violins are made of first-class Italian spruce and Bosnian maple, varnished with either a "straight" or "antique copy" varnish. Cao violins are well known among violinist and professional teachers. The Cao name has a great reputation to live up to and protect, which they strive to do. This violin ranks at the top of our 'best violin to buy' list! 10 years agoI would've said, never purchase a violin online. But times are changing and so are my opinions, in fact I now order violins online myself. Purchasing a violin online opens up new possibilities and competitive pricing. Not only that, but greater measures are being taken to ensure safe travel of the violin during shipping. Free shipping prices are often offered on instruments, as well as money-back guarantees and trial periods for testing an instrument. Here are some simple tips to make your online instrument purchasing a better experience. Many sellers offer 100% money back guarantees for products returned in specified time frames that are in like-new condition and in the original packaging. Some of the sellers on Amazon with excellent customer service are; Johnson String, and Southwest strings. With Amazon, not only do you have the promises and relationship of the direct seller, but you can have the peace of mind with the Amazon.com A-to-z Guarantee claim. Buying a violin off of ebay is usually not a good idea. You are unable to try the violin out before the sale is final. In other words, there is no money-back guarantee. Many fake and fraudulent instruments have been purchased on ebay with no way of knowing until it is too late. If you find a violin online that you think you might like, and you have a local violin shop, visit the shop and check it out. That way you can get a feel for what the violin will be like before purchasing, and you can also do a little price comparison. It is easy to find a violin online that is less than $100.00, but be wary when doing so as they are usually not even worth playing! Before checking out, make sure you understand what the violin is coming with. Some violin's come as an outfit and some violin's do not. If your violin does not come with an outfit you will need to also order a violin bow and case to have ready for when the violin arrives. Check out these helpful articles when purchasing your next instrument! Are you trying to decide which violin to buy your beginner? Check out the Franz Hoffmann violin review and why we're calling it a steal! Violinists come in all shapes and sizes. This article is dedicated specifically to helping you find the best child violin for your little virtuoso. Violin sizes range from 1/32 as the smallest through 4/4 or full size. Use these charts and sizing tips to find the right fit for you. Want to know how to care for a violin? 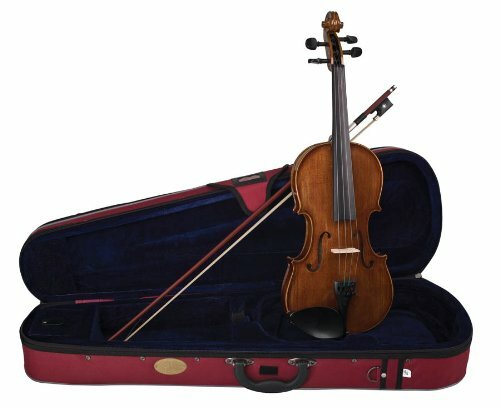 Tips for anyone that has just purchased or rented a violin. Read this before sending your kid off to school with a stringed instrument.